Songs for Nobodies’ is actually songs for everybody in a new one-woman show now playing in the West End. Australian Bernadette Robinson treats the audience to her ability of being able to sing, uncanningly, like several very famous female singers. But before we get to hear her sing the five voices included in this show Robinson sets up by five fictional characters who each come in contact with each singer. Before she sings the fabulous ‘Come Rain or Come Shine’ by Judy Garland, Robinsons’ character is Bea Appleton, a bathroom attendant at the Plaza Athénée on the night of Garland’s famous Carnegie Hall appearance. Robinson as Appleton goes on to tell the story of their fictional encounter and then breaks out into song. And the same goes for when Robinson sings Patsy Cline’s beautiful ‘Crazy.’ Robinson is now an usher in Kansas City and meets Cline in her dressing Room. 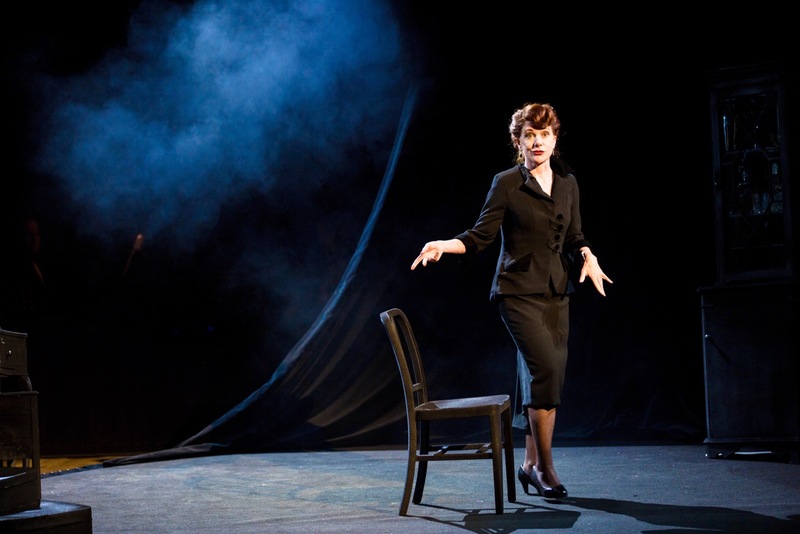 Similar monologues set her up singing as Billie Holiday and Maria Callas, but it’s Robinson singing Edith Piaf’s ’Non, Je ne Regrette Rien’ that brings down the house. But for a 90 minute show with no interval, there are a mere 9 songs sung. It’s a shame that Robinson’s speaking voice and not her singing voice encompasses most of the show. It’s a very beautiful singing voice, especially in such an intimate venue as the Ambassadors Theatre. ’Songs for Nobodies’, written by Joanna Murray-Smith, (and named as such because of the characters Robinson plays as opposed to the characters she performs as), is a show starring a woman with a special voice that’s a gift, and is now playing only up until February 23, 2019.